The hat has eyes! I followed Lyn's suggestion and featured one owl. So this one is wide awake whilst I imagine the other ones asleep. Considering how much time babies spend snoozing that's kind of apt, don't you think? Would you believe what my husband said when I happily thrust this in his face? H: Don't you think the eyes are a bit close together? Me: What? Too close together? I can't put them much further apart. They need to be inside of the head! Me: That's two different owls! Are you kidding me? 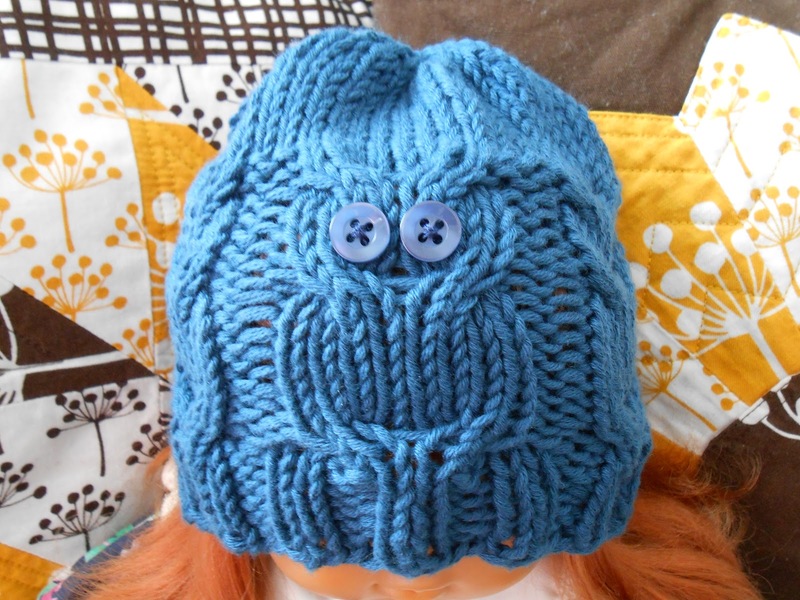 Why should I make monocular owls? H: Sure. laughs Great owl! laughs as if I'm the insane one here..
Yeah, sometimes he doesn't get it. Still love him, though. As you can see I finished my cowl. I still have to weave in the ends and make the eyes/no eyes decision. A trip to the shop to stock up on thread is in order, anyway, so I can take a look at their button selection. Do you reckon mother of pearl would be an interesting option? I'm compose a post with all the details and proper pictures soon. 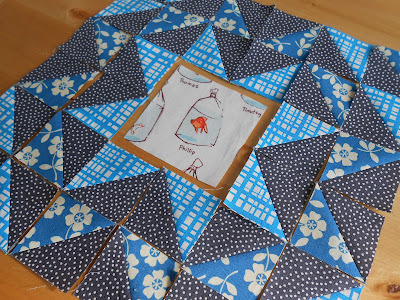 Today I'll be working on block number three of my Fish & HSTs. I'm becoming way too attached to these! Don't I always? These are incredible!!! First of all, hilarious conversation with your husband. Second of all I cannot believe how much they look like owls! The buttons are a perfect addition to the hat, glad you didn't take his advice on spacing ;) And I love fish block #2 (or is it 3?) 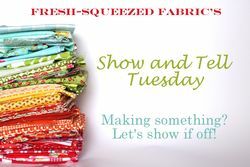 have you decided what you're going to make with those lovelies?? LOL, these guys. I see the owls, too cool. =) Lovely work. I llllllloooooooovvvvvveeeee the owl! Oh my goodness, so clever! My favorite of all today! Your star and fussy cut center is so super sweet! Love the colors you've chosen and the fish is just too awesome! Ha, they totally look like owls. I'd be completely attached to those blocks too, they're amazing. The owls are so great! I like them better without eyes, but think black might look better (most owls have black and yellow eyes). I think the fish and hst blocks are great! Ahhhhhh die Mütze hat ein Gesicht. He clearly just doesn't get it. I think the owls are very clear! Not to mention adorable :) and the eyes are so cute! Love! I really like the owls! 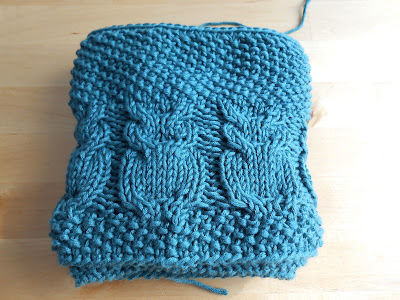 I love that they aren't so bold as some of the owl hats you see out there but that they're worked into the actual pattern of the hat! I really love your owls - such a cute pattern! Lol too funny! I think the owls look fabulous and I totally see them!